French Marigold or Tagetes patula – The flower is an annual, occasionally reaching 0.5 m by 0.3 m. In some climates it flowers from July to October. In its native habitat of the highlands of central Mexico, blooms are produced from September to killing frost. Achenes ripen and are shed within two weeks of the start of bloom. The heads contain mostly hermaphrodite (having both male and female organs) florets and are pollinated primarily by beetles in the wild, as well as by tachinid flies and other insects. 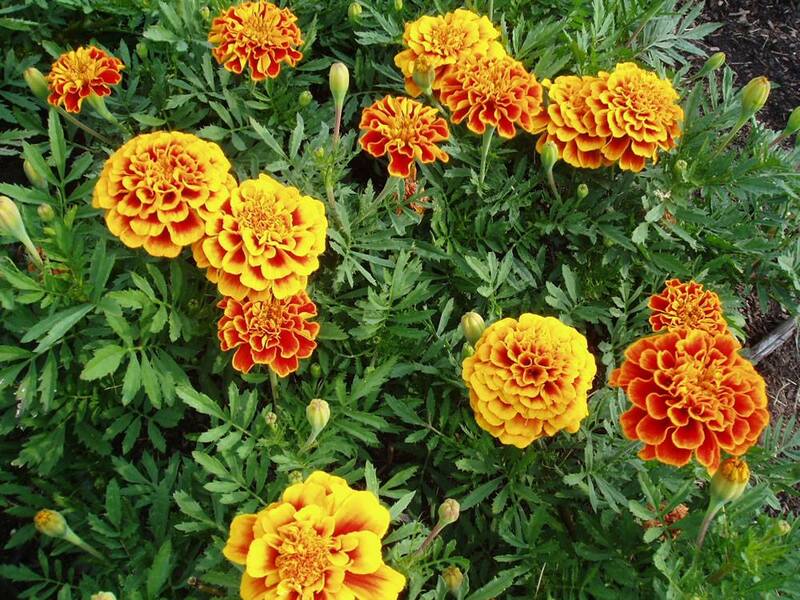 The leaves of all species of marigold include oil glands. The oils are pungent.